Me Before You was definitely one of my favourite reads of 2016. I still catch myself thinking about it, and I absolutely adored the movie. Having said all that, I was absolutely terrified to read After You. I felt like Me Before You should have been left just as it was. I didn't think a sequel was necessary. But, my curiosity got the best of me, and while shopping at Costco, I succumbed and bought the book. As bookworms, we all know what 'Book Regret' is. We've all suffered it. Whether it's not buying that one limited edition, or not enjoying a super-hyped book, etc. My book regret: Not reading After You sooner! After You was the book that I didn't know I needed. I thought I was okay leaving Lou's story exactly where it left off in Me Before You, but I was so wrong. There was so much more to Lou that is revealed in this novel. We all fell in love with that witty personality and her corky style, but in After You there is a whole other side to Lou that is uncovered. We not only get to know Lou on a deeper level, but all of those we fell in love with in Me Before You, her mom, dad, Treena and Thom, and a whole new cast of spectacular characters! I have come to love Lou so much, and I know it's unlikely, but I would absolutely LOVE to read more of her! 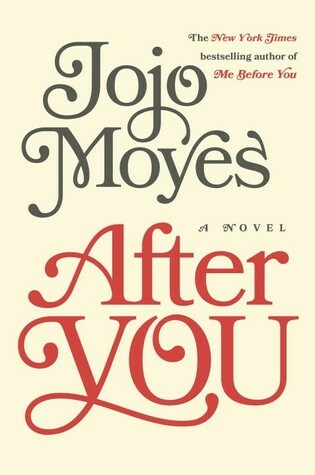 Jojo Moyes sure knows how to craft lovely characters. Heart, soul and so much life! If you haven't read After You yet, please do not make the same mistake I did. Go out, and get your copy now! I loved Me Before You as well. I'm glad you said the sequel is good. Sometimes I've regreted not leaving the story at the end of the first novel. I'll look out for this one.